When it comes to Glens Falls health care and medical services, GlensFallsRegion.com is your guide to local dentists, doctors, medical specialists, chiropractors and more. Are you in need of urgent care? Looking for alternative health options? Browse our site for all types of health and wellness resources, including physicians, hospitals, health care centers, vision care, and physical therapy offices, as well as fitness centers and gyms. From pediatricians to senior care, and all your health needs in between, you can find the region's many health services, professionals and wellness resources all in one place at GlensFallsRegion.com. 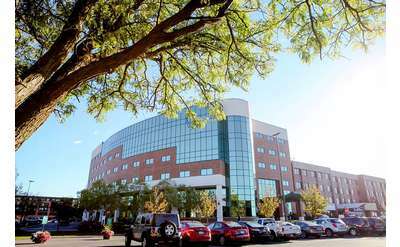 Glens Falls Hospital is the largest healthcare provider between Albany, New York and Montreal, Canada. They offer inpatient and outpatient services, including emergency, medicine/surgery, cancer care, obstetrics, and much more. 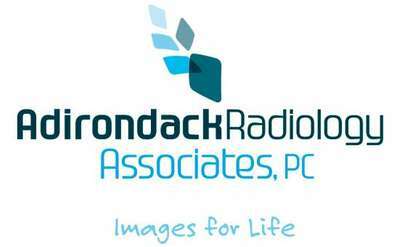 At Adirondack Radiology Associates, we have four convenient locations in Saratoga, Albany, Glens Falls and Queensbury. We offer the most advanced imaging technologies: MRI, CT, Ultrasound, Digital Mammography, Dexa, and X-Ray. Dr. Bartlett, Alexander and their staff will make you smile for a lifetime! Conventiently located beside the Queensbury schools, Dr. Bartlett & Alexander provide quality of care with outstanding service using all types of braces and clear aligners. At Cottrell Dental in Queensbury, Dr. Eric Cottrell and his team are dedicated to providing each and every patient high-quality dental services. They offer scheduled cleanings as well as a wide range of cosmetic and dental treatments. At Adirondack Dental Implant Center, we are so much more than just implant therapy. We provide full service adult dentistry in a meticulously clean environment, using state-of-the-art equipment and procedures. North Country Orthopedic Specialists (formerly North Country Sports Medicine) is dedicated to KEEPING LIFE IN MOTION! From labor and delivery to menopause, Women's Care in Obstetrics and Gynecology tailors their approach to each patient, focusing on communication and patient education. 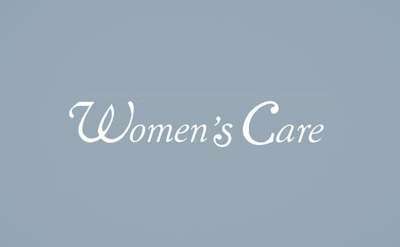 Women's Care has served women in the Glens Falls area for over 60 years. Adirondack Urgent Care embraces its mission of quality medical care administered with dignity and compassion. We proudly serve Queensbury, Lake George, Glens Falls, Hudson Falls and all other areas in the Southern Adirondacks. Aspen Dental, located in the CVS Plaza, is a general dentistry practice that offers custom dentures and oral surgery in addition to the standard cleaning and X-ray services. Dr. Anthony Romanazzi DMD uses the CEREC Crown System to restore damaged teeth in just one session using natural, tooth-colored crowns at his office in Glens Falls. With over 29 years of experience, he specializes in restorative dentistry. 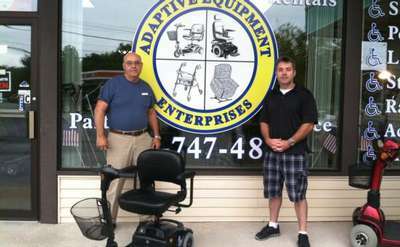 Hanger Prosthetics and Orthotics in Queensbury carries Orthopedic appliances and prosthetic devices. With weekend and evening hours available, Queensbury Dental on Bay Road is a great option for busy families. Curren Craft Dental Lab is on Dix Avenue in Queensbury, NY. 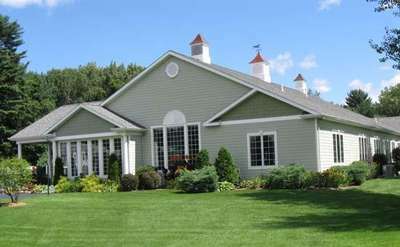 Baybrook Dental is located on Willowbrook Road in Queensbury, NY. Next Step Coaching and Counseling in Queensbury offers career and vocational counseling to those who wish to change career paths or make the jump to the next level in their current field. Psychological Associates on Bay Road offers Psychotherapy as well as Hypnotherapy. Pearle Vision has the latest in fashionable frames and all of the top names in contacts. With their new Try-On Tool, you can upload a picture of yourself and see what frames will look like on your own face before you order them. Dr. Alexander Burkich is a dentist in Queensbury, NY. His practice is located on Aviation Road. For those seeking a Christian perspective to psychology, Adirondack Cross Roads Psychology PLLC is a small group practice that helps individuals, both Christian and of other faiths, improve their relationship with themselves, others, and God. 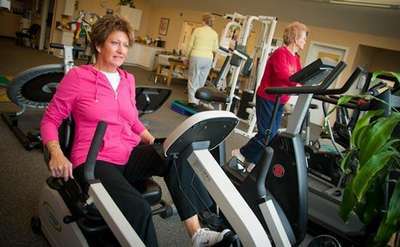 LiveWell ADK is a new program designed to incorporate a variety of fun and healthy ideas. The goal: to encourage and promote a happy, healthy lifestyle for folks who live here in the heart of the beautiful Adirondacks! 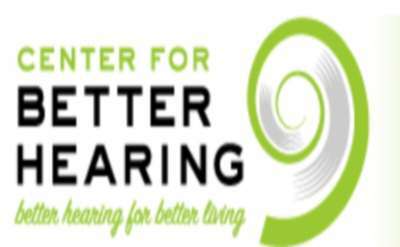 Founded in 1986, the Association for the Hearing Impaired offers beginner and intermediate classes in American Sign Language (ASL). They also have a sign language troupe open to kids ages 7-14 that performs holiday songs in sign at local events. Schutze Family Dentistry is a locally owned general dentistry practice in Queensbury. At the Dr. John P. Lawrence DDS Orthodontics office, efficiency and experience are the keys to excellent orthodontic care. Dr. Lawrence specializes in the Invisalign System and the Damon Bracket System. Town and Country Optical in Queensbury has flexible hours with evening appointments available. Their licensed optician will help take care of all of your vision needs. Glens Falls Hospital Laboratory Collection Center is part of Glens Fals Hospital. Our helpful and courteous staff will schedule you for a New Patient Appointment and start your road to recovery and a better life through Chiropractic care. Glens Falls Vision Care on Bay Road has everything your eyes need; from prescription glasses and sunglasses to contacts and eye exams. Make an appointment today! Independent Distributor (Member #1329269) for Young Living Essential Oils, the world's premier essential oils! The Queensbury Family Health Center can take care of the whole family's primary medical needs including women's health, immunizations, sports medicine and internal medicine. 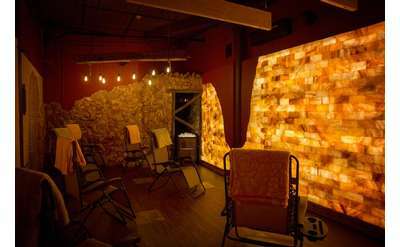 The facility also offers acupuncture on Wednesdays by appointment. Since 1990, the doctors at Adirondack Neurology Associates in Glens Falls have treated patients with a wide range of problems such as Multiple Sclerosis, Carpal Tunnel, Parkinsons Disease and Bells Palsy. Just beside Adirondack Community College, the team of doctors at the Allergy & Asthma Treatment Center put special emphasis on patient education. They treat asthma, food allergies, Angiodema and Rhinitis. Dr. Patrick Esmond DDS, PLLC is one of three dentists at the Adirondack Smiles office in Queensbury. The focus of the office is personalized care with an emphasis on new technology and overall oral health. Dr. Matthew Chase, DC has a chiropractic office on Bay Road in Queensbury. Trained in South Korea, Dr. Jung has a busy psychotherapy office in Queensbury near Adirondack Community College. Lincare has offered the highest quality oxygen systems since 1965. With excellent customer service and an experienced staff, you'll be happy with Lincare. Dr. Garcia and his compassionate staff at Garcia Plastic & Hand Surgery are committed to providing high level care in an atmosphere that makes you feel comfortable and assured. Patients are number one in this family practice. Dr. Sherrick gives each patient the time and attention they deserve while using the newest technology to achieve the best results. Dr. Raymond J. Kisiel, DDS is a general dentist in Queensbury, NY. His practice is located on Baywood Drive. Four Winds Hospitals where you'll find respectful and caring professionals. A Mental Health provider of Inpatient and Outpatient Treatment Services for Children, Adolescents and Adults. Drs. Jeffrey Gundel and Alfred Kristensen of Foothills Orthopedics in Queensbury are known for excellent patient care and a short wait time. Both doctors are board certified Orthopedic Surgeons. Just across from Peter Harris on Route 9, Weight Watchers in Queensbury will help you set and meet your weight-loss goals. 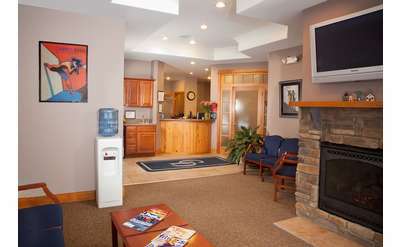 Dr. William Caron's general dentistry office is in Queensbury, NY on Bay Road. In a joint partnership between Glens Falls Hospital and Adirondack Radiology Associates, Advanced Imaging at Baybrook offers CT, MRI and the Adirondack area's first combination PET/CT scanner to detect various forms of cancer sooner. Capital District Physicians' Health Plan, Inc. (CDPHP) based in Albany offers 14 different insurance plan options for individuals and groups, including Medicare patients. To assist our clients in maintaining a high standard of benefits at the lowest cost available in today's complex marketplace. Convenient Medical Care is located on Bay Road close to Quaker Road in Queensbury, NY. Dr. Richard Reisman is a general dentist in Glens Falls. His practice is located on Bay Road. Baywood Center is a substance abuse treatment facility. They offer a sliding-scale fee schedule based on income as well as other factors, and can offer treatment in French and Arabic. They have special programs for adolescents and DUI/DWI offenders. With same-day appointments available, Total Care Chiropractic is the largest pain management clinic in Upstate NY. They treat the whole body including Carpal Tunnel Syndrome, sciatica, herniated discs, muscle injuries and much more. Eigo Orthodontics is dedicated to providing you and your family with professional and personal orthodontic care. Adirondack Wellness Group is Queensbury's premiere health center that focuses on not just providing relief, but getting to the cause of your health concerns. We offer chiropractic, acupuncture and massage therapy all in one convenient location. Hughes ENT Associate M.D.s P.C. Patients are paramount at Adirondack Neurology Associates located in Saratoga Springs, NY. The office treats common ailments such as headaches and dizziness, as well as Parkinsons Disease and Bells Palsy. At Glens Falls Eye Associates, they offer much more than the standard eye exam, glasses and contacts. The experienced team performs cataract surgery, Glaucoma laser surgery and retinal laser surgery. They also treat macular degeneration. We are a state of the art Chiropractic clinic that specializes in the treatment of neck and back pain, extremity pain, headaches, wellness and weight loss. With a helpful website that anticipates new patient questions, Dr. Richard Hughes MD, ENT, PC and his team of board certified physicians are ready to alleviate your head and neck problems. Innova is a physical therapy office specializing in pelvic floor dysfunction. Dr. Dennis Picano is an ophthalmologist at Eye Care Medicine & Surgery in Queensbury and has over 30 years of experience. Dr. Willam Lyons of Adirondack Endodontics uses modern anesthetics and procedures to make root canals as stress-free as possible. At Lockhart Chiropractic, patients are treated as individuals with a customized care plan for each person. They specialize in adjustments, custom fit foot orthotics and electrical muscle stimulation. With their main location in Queensbury near Adirondack Community College and one in Greenwich open on Fridays, Baywood Surgical Associates specialize in General and Laparoscopic Surgery. With over 13 years of experience, Dr. Donnel B. Eddy uses the Gonstead Method of Chiropractic to treat clients from infants to seniors. Dr. Eddy uses a blend of instrumentation, palpation and X-ray analysis to diagnose and treat your injuries. Chronic Pain Management is located in Queensbury just off the Northway on Main Street. In affiliation with Glens Falls Hospital, the doctors at Adirondack Orthopedic on Quaker Road offer a range of specialties, including Revision Total Joint Arthroplasty and Spine Surgery. Sydney Hochman, DC is a chiropractor in Queensbury. Unsurpassed eye care, and are dedicated to affordability as well as quality. Bay Optical Group has been serving Warren, Washington and Saratoga Counties since 1968. Bay Optical Vision Services can offer you the best quality eye care available. Using state of the art exercise equipment and sports therapy techniques, Jeffrey J. Foss, PT PC and the staff at Orthopedic and Sports Rehabilitation will help you reach your recovery goals. The office conveniently opens early and closes late. The doctors at Adirondack Rehabilitation offer a wide range of services including electromyography (EMG) and nerve conduction velocity (NCV) which are used in tandem as a test to detect nerve injuries and muscle disease. Two miles from the original location, the office of Dr. Jay Wasserman DDS keeps costs low by not having to refer patients to a specialist. Dr. Wasserman utilizes all of the newest technology including anti-snoring and sleep apnea treatments. Dr. Matthew Dickson specializes in Otolaryngology and plastic surgery. Dr. James Yovanoff specializes in Internal Medicine. Their office is located on Bay Road in Queensbury, NY. Glens Falls Associates in Cardiology operate out of Glens Falls Hospital and are available every day around the clock for urgent and emergent services. Some of their invasive surgeries take place at St. David's and Albany Medical Center Hospitals. The Natural Improvement Center addresses the nutrition needs of clients by seeking safe, natural solutions for their health problems.